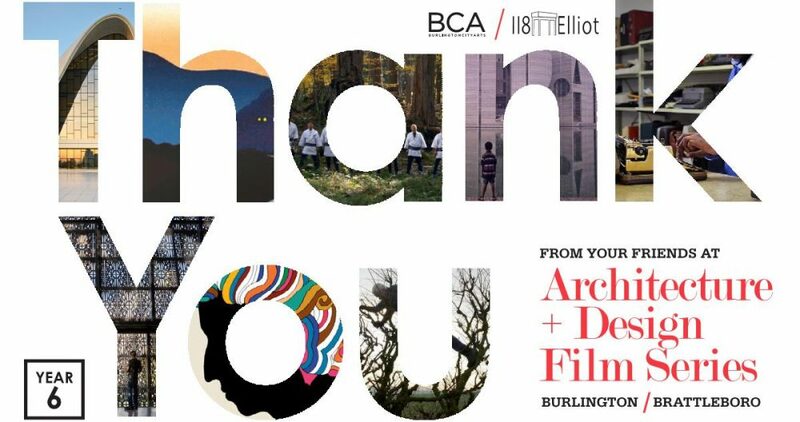 We’d like to extend our thanks to everyone for supporting the Architecture and Design Film Series! Since last fall this event has reached out to over 700 people ranging from interested community members to design professionals through the showings of beautiful films, engaging exhibits and thoughtful discussions. We welcome any suggestions you may have as we plan the second installment this summer and look forward to seeing you at the first film this September. Cathedrals of Culture by Wim Wenders, Robert Redford et aal. This is very new. Visual Acoustics – About photographer Julius Schulman and So Cal Modern. Reconversao. De Moura’s work – recent Pritzker winner. Citizen Architect – about Rural Studio. So many movies that use architecture strongly – most of Peter Greenaway, Contempt by Godard, (neither easy to watch) Metropolis, The Cabinet of Dr. Caligari, Blade Runner, Wings of Desire, Tati’s various.